Although locomotive hunting was usually reserved for fighters and light bombers, because of the long distances from base that were to be covered, Liberators assumed the role of agile fighters, and swayed down to ground level to strafe engines, troop trains and goods wagons that dared to show in daylight hours. Railway bridges, rail yards and trackings were also favourite targets (along with armoured bomb dumps). 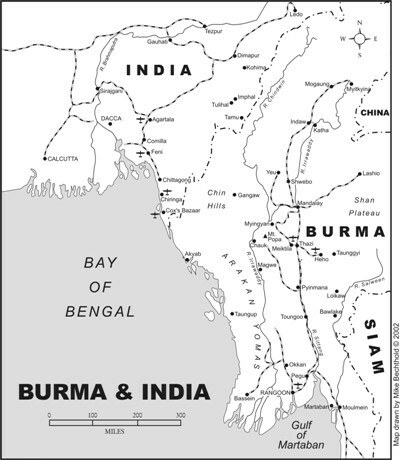 The wild link in Japanese communication was the 244 miles of Bangkok-to-Burma railway, and it received special attention by the Liberators between January and April 1945. That was when I flew the majority of my 312 hours on ops and on those targets. The crews estimated that at least 8 out of the 688 bridges and viaducts were out of action everyday, and the tonnage delivered to the Japanese front dropped from 750 tons per day to 150. This sort of strategic action did much to hasten the end of the war in Burma and was only possible because the Liberators had arrived. During this period, 1672 Canadians were involved, of which 176 were killed, mostly by ground fire. I flew a tour of ops (312 hours) but was not singled out as anything special – other than that I (and many crew) survived. Every Liberator at low level is a big slow target, and we got “holed” – some crashed, some got home. There are some exciting stories about people other than me, and it would be very unfair of me to put my stories ahead of better ones. Also I might add the Wing Commander overheard us making a disparaging comment about him, and he made sure I got the tough trips and no recommendations! All the Liberator crews were determined at the #5 Operational Training Unit at Boundary Bay, just south of Vancouver. I was on course #1 when the school opened in April 1944. I joined #159 squadron Royal Air Force (RAF) in Digri Benegal and am advised that between 1944 and 1945, a total of 237 aircrew were on the rolls of 159. Canadians made up large portions of the crews on 354, 355, 357, 358 squadrons, plus 99, 215, and 213 squadrons. Since they were all RAF squadrons they are scarcely mentioned in the Royal Canadian Air Force (RCAF) history. The two RCAF squadrons were Transport squadrons #435 and #436. They got most of the publicity. I was Honorary Colonel of # 436 for 9 years.